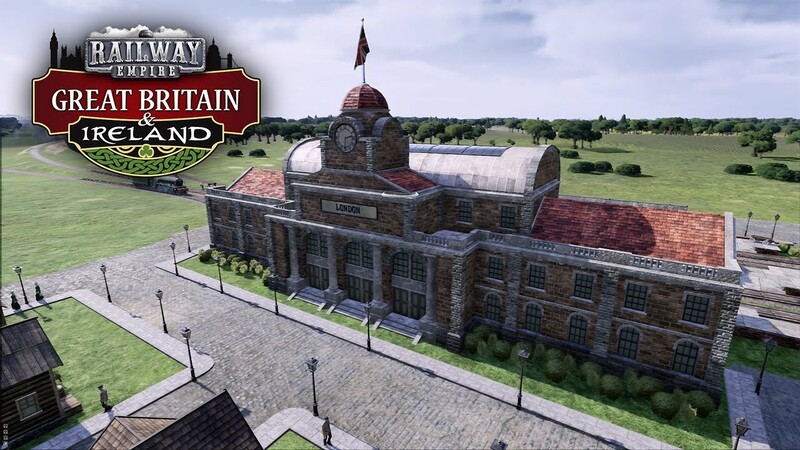 After laying down thousands of miles of tracks in North and South America, Kalypso Media is letting tycoons loose across Europe, starting today with the launch of the Great Britain & Ireland DLC for Railway Empire. In Great Britain & Ireland, players will travel to the home of the first steam engines in an age of unprecedented progress and technological innovation. Industrial city centres are booming and the streets and waters are no longer enough to keep up with the ever-changing landscape of commerce. Locomotives are the future but not everyone sees it that way, and you’ll have build respect and social standing as you battle rival companies to the top. The new DLC includes the ‘Great Britain & Ireland’ map expansion for Free Game and Sandbox modes, and tasks players with a new scenario. New music tracks and reworked city buildings are accompanied by 10 new historical engines (including the Rocket 0-2-2 and Firefly 0-2-0, 13 new tradeable goods like cider and whisky, and 45 new cities to explore. The release of Great Britain & Ireland also coincides with the release of the 1.7 ‘Stock Market’ update for Railway Empire on all formats. The update introduces new platform customizations, with stations and warehouses receiving upgradeable signal stations that give trains the option of which platform to stop at. Trains will automatically choose the platform that is least busy, reducing idle time while other trains are being serviced. The ‘Analyst’ has also been added to the staff, who will cause mayhem on the stock market by placing false reports to manipulate the value of companies! Acquiring a company has also been smoothed over, with players now able to own 100% of a company without having to follow through with a full merger.